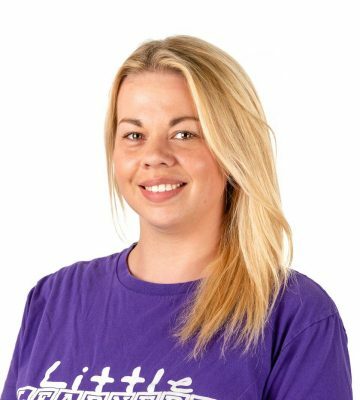 Hi, I’m Holly and I am the proud owner of Little Learners Southport and now Little Learners Preston and Chorley too. I deliver these multi award-winning children’s classes in Southport, Ormskirk, Formby and Preston. My team and I hope to bring them to surrounding areas in the near future. I was a primary school teacher for 10 years and deputy head for 3 of them. As well as being a teacher I am also a mum of two (a 4 year old and a 2 year old – I’m completely in the thick of it!) Teaching has been my life for over 10 years now and I love being a part of children’s education. When I became a mum of two, I decided to put teaching on hold for a while and start a business that would give me a little more flexibility. Little Learners allows me more time with my children during these important and fleeting early years. What are our classes all about? 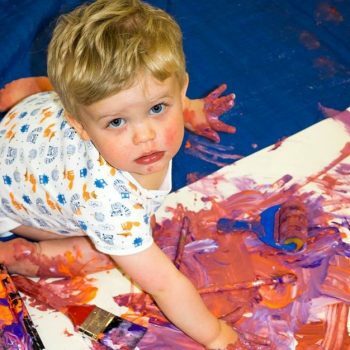 Getting messy and having fun is an important part of early childhood. In fact, babies and young children learn best through play, especially when it is unstructured and exploratory. As a teacher I am used to dealing with ‘right and wrong’ answers but with messy play there is no right and wrong! That’s what I love about it! It is creative, fun and allows children to use all of their senses. When I first read about Little Learners I fell in love with the ethos of it straight away and I knew that it would be such a fun way to spend my days! Who wouldn’t want to play with paint and playdoh or make rainbows and monsters out of spaghetti and glitter? I am really excited to have brought this fantastic franchise to my home town because it is so different and fun! I am so proud to be part of this company and believe strongly in what sets out to do. As a company, we want all children to be happy and proud to make their mark. Above all else we want them to learn and have fun whilst doing it. Finally, my main aim is to create a happy and relaxed environment. 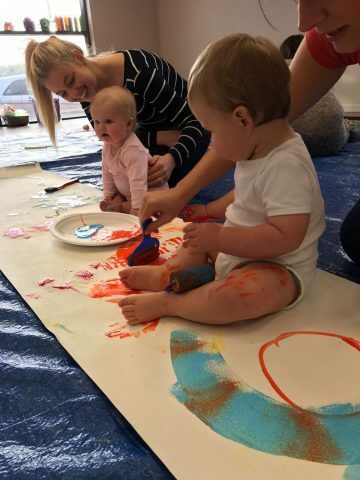 Bonding and having fun with your little ones is everything and if you can learn a little about early writing and mark making along the way, then I have done my job! I love hosting Little Learners parties! It is the PERFECT, fun alternative to the usual soft play or children’s entertainers for birthdays or christenings. Did you know we can tailor our parties to your child’s interests and favourite characters too? 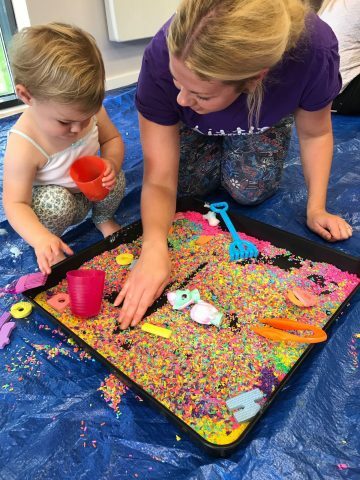 A ‘cake smash’ party is very popular and we have also catered to themes such as Peppa Pig, Unicorns, football, Marvel Superheroes and ‘Super Messy’ which included all our class favourites. You could even theme it around your child’s nickname or favourite toy. You can be as creative as you like or leave it all to us! 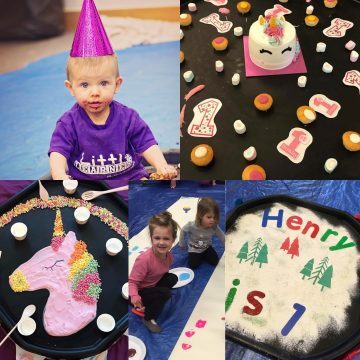 The party room would typically be set up with a variety of (themed) messy and dry trays, sensory play, painting and drawing stations, play dough, crafts and a dance area. Our party packages start from £130 for up to 15 children and your party can be set up at a venue of your choice – we bring everything required, deliver the session and clear up all the mess afterwards – what could be better? For an additional £20 I can do a cake smash tray and photograph it all for you too! We can also offer a home party package too! This can be as messy as you want! I can do dry messy trays with drawing and playdoh to limit the mess or I can even leave out the mess and just bring craft type activities and play party games with the children! Reviews & Recommendations for my 5-star rated classes.. I am very proud to have received so many wonderful reviews for my classes from both mums, dads and grandparents. My classes have a fun and friendly atmosphere, where EVERYONE is welcome and it is YOUR time to play and explore with your child. My baby girl has just completed 2 terms and a Halloween special of the little learners messy play and I have to say I am very impressed. The sessions are well organised and delivered with enthusiasm and fun. 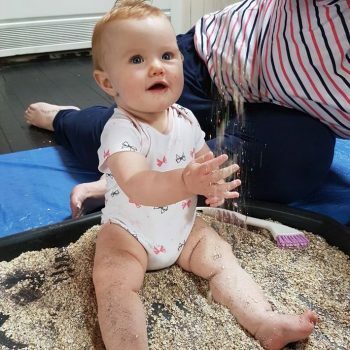 My baby girl thoroughly loves getting stuck in and messy. Although she is a little too young to be making the specific marks, she is definitely learning about the different textures and tastes and is developing her pincer grip when trying to pick up little pieces. I am excited to watch my baby girl learn further and will definitely be booking on the next few terms. We love Little Learners, we’ve done 1 term and booked for the Halloween and Christmas specials. We’ve even booked Little Learners for my little boys 1st birthday. The imagination and hard work that goes into the classes are amazing. I love how it gets my little one mark making as such a young age. Fab classes run by a fab lady! Thank you! I have done a few groups with my daughter (just turned 3) and my son (8 months) but have struggled to find something that would appeal to them both or even that I could just simply take them both to. Little learners is Fab! Little Learners is the best group that I have taken my daughter to. It’s educational (as well as very messy) and our group teacher is fantastic! She interacts with the children brilliantly and really knows what she’s doing. We’ve also met some fabulous Mums and babies. Signed up for next term! 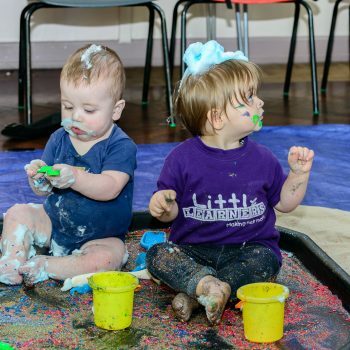 Little Learners Southport Messy Play Cartoon Party!